If you didn’t get a chance to read my August ‘Beginning’ post, I encourage you to check it out in the Archives. 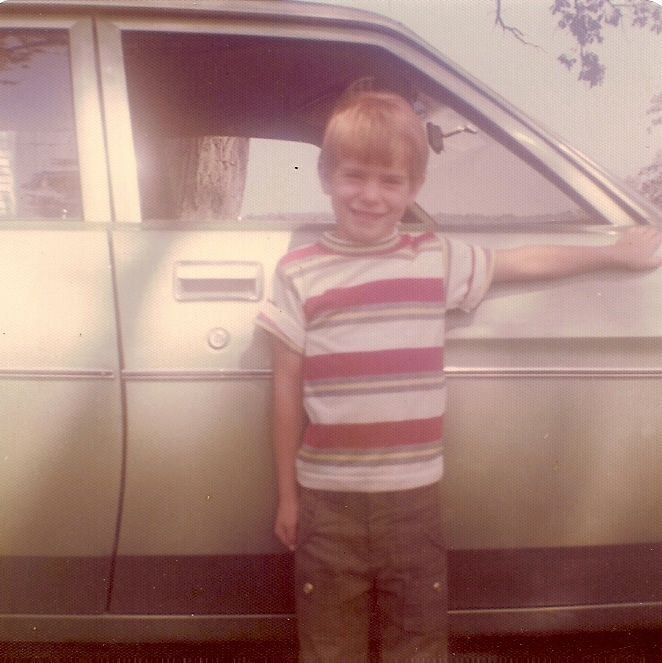 In that throwback, I posted a few short stories that I wrote as a youngster. Thankfully all of these early efforts written on large sheets of lined paper were discovered during an archaeological dig in Mom’s closet. So let’s take a step back in time to my earliest school assignments. These have been typed up as they were written, complete with the original spelling, punctuation and grammatical errors. Enjoy! One day a boy named Mike went fishing. When he got to a lake he put a worm on the hook. He was realing in a fish one time but it got away. Just then a grat big monster got on his hook. It came on land but the little boy ran home. Toco had gone to sleep a lot of times now. They always go to sleep. Toco saw the new green leaves that he liked. He saw some animals. A little breaze was coming up. Toco thought it was going to rain. Then the rain came down. It was a hevey rain. A wall of water hit Toco. After the rain stopped Toco could not move. The next morning Toco was lost. He started to crawl through the mud. He crawled late into the night. The night animals were up. They didn’t scare Toco. Toco saw an animal near him. He could feel theeth scrape his shell. Toco was on his back if he didn’t turn over. He could die. He push one big push and he made it over. Now he could breathe. The next day he was at home. He saw the new green leaves. Toco had gone to sleep a lot of times. But this sping there was something new. In Kentucky there was a little boy named Abraham Lincoln. The cabin he lived in had only one room. In his family he had his sister Sally and his dad Tom Lincoln and his wife. He was born right in his house. Sometimes his dad would say I can’t keep Abe in one shirt before he grows out. On the farm Abe learned how to work with his dad. His dad got tired of working on the farm so he found a new farm. He thought that they might move to Knob Creek. Once Abe’s dad shot a deer in the woods. With the skin his mom made a pair of pants for Abe. Then Abe washed his hands and face and went to school. The road to school was two miles long. After Abe was six years old he did’t go to school very much. Abe lived in a valley.